Hope you are all well and you had a great weekend! 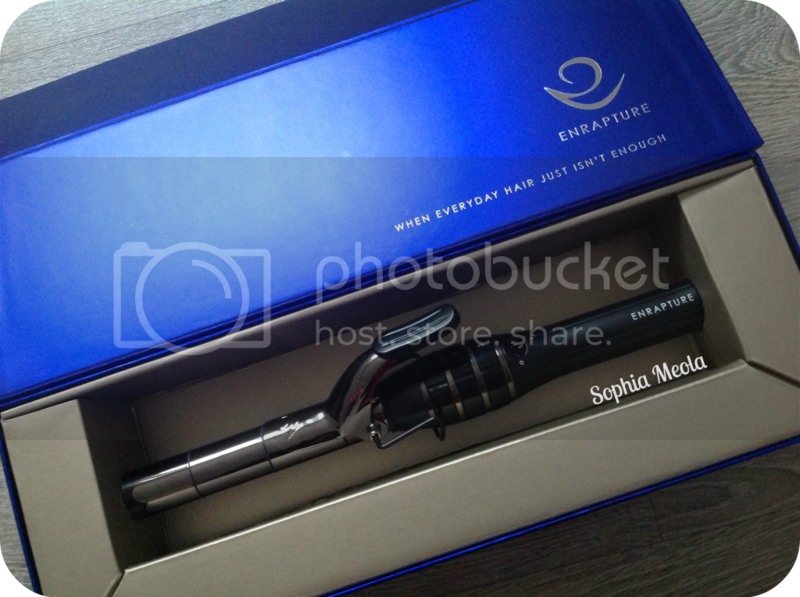 I have a really exciting post for you today, i was very kindly sent an amazing 'Enrapture Totem Styler'. As i have very long and thick hair i havent had much luck with curling wands previously, as the curls seem to drop quite quickly. The only thing that actually curls my hair to how i like it are my 'Babyliss Heated Rollers'. So, after recieving these i couldn't wait to experiment with them and give my hair some Enrapture Loving! The Encode Totem Styler is essentially a curling wand but it comes with a few genius specifications. It has 3 heat settings for you to choose from, 1 is for natural everyday waves, 2 is for loose natural curls and 3 for big bouncy glamorous curls, the amazing part is that you can switch up the combinations to create the perfect curl for you! Pretty amazing huh :D When creating my Victorias Secret waves for this review i used the setting '322' and i absolutely love how they turned out. As i have long and thick hair it can take me a while to actually curl it, thats why i usually go towards quickly using my heated rollers as i can throw them in and do my makeup, however, as the Totem Styler heated up extremely quickly i didn't waste anytime waiting around and every curl was created in record timing! Also, by having the Swival Cord made it so much more efficient for me to rotate and move the wand just where i needed it to create these amazing curls. 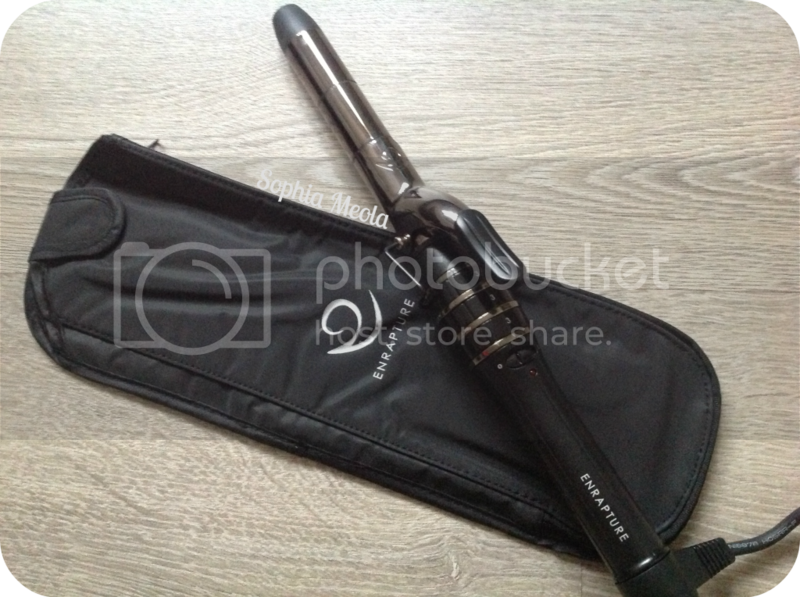 I love how the Totem Styler comes with a stand for cooling or placing down whilst you are curling your hair. In the past i have had to be so cautious when using Curling Wands without stands, ensuring i place it down appropriately so i don't burn anything in sight haha. The packaging is very luxurious, i love how the Totem Styler came with a handy magnetic box and heat proof bag. When i've used previous Curling Wands it has always been a hassle trying to store them away as the wires get all tangled and can never fit back into the box! You simply slip the Totem Styler into the heat proof bag after it's cooled, wrap up the cord and place in back into it's magnetic box, it's as easy and quick as that. Overall, i am extremely pleased with the Totem Styler and i can't wait to use it more and experiment with all the other settings, i'm really fussy when it comes to my hair and i loved so my curles had volume and glamour. 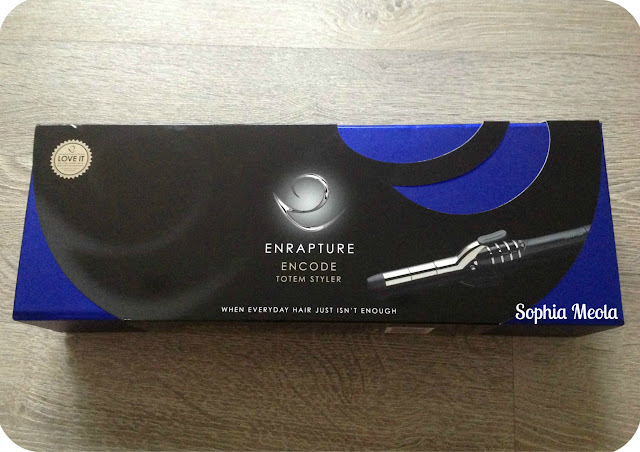 After my great experience with the Enrapture Encode Totem Styler i cannot wait to get my hands on their Heated Rollers and see what amazing curls they can create also. I'd definitely reccommend this curling wand, it has done wanders for my super thick and long hair and my curls have stayed in place all day which i amazing, as they would have dropped considerably by now! I'd love to know what you all think, have you tried the Totem Styler? 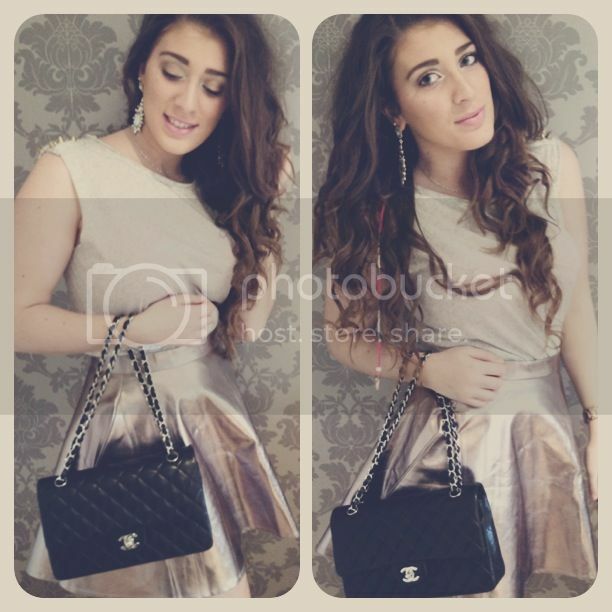 Aww Sophia your hair looks beautiful :D and ofc the lovely bag ;) Chanel twinnies! 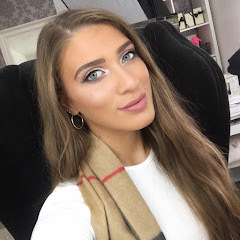 India xox The Jewel Beauty Blog |Beauty,Lifestyle & Fashion! - Latest Post - Beauty Haul! I really want to try this! I have their heated rollers and theyre amazing - actually have no idea how i lived without them! 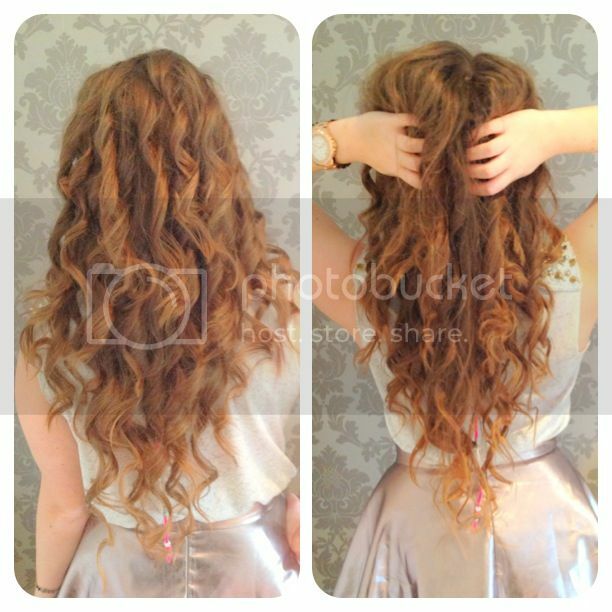 Major major hair envy! Absolute beaut! Oh and I'm running a giveaway, if you want to pop over and have a nosey! AhhI have this styler and it truly is amazing - love it! Oh no you've tempted me and I'm not supposed to be spending!!! i love this wand, best christmas pressent ever! it also curls my extensions really well too! Wow your hair is sooo long and sooo gorgeous curled! This looks a-mazing!! I really need to purchase a new curling tool & this looks perfect! I love that it comes with different settings. Super pretty! I love those earrings too. Ahhh Love your hair! I know the feeling of curling thick hair! I had wanted this for ages but couldn't spend £75 on it, so when a lovely follower told me that Boots.com were selling it for a limited time at £29.99, I knew I had to have it! I can't wait to try it this weekend! Serious hair envy going on over here! I love the type of curls you've achieved here, so natural and pretty! You're so pretty love!! Great post! Hi there, thanks for following my blog! I returned the favour cos yours looks great! I've seen loads of reviews of this product recently, it's making me want one so badly! Your curls look absolutely amazing. It's so romantic and looks beautiful on you! I am coveting your hair so badly right now!